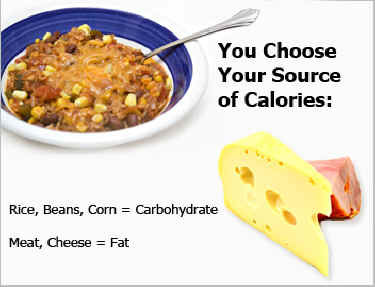 Therefore, when the USDA restricts starches (practical carbohydrates) from the diets of women and children, then their choices are limited to animal foods (fats) to obtain an adequate daily supply of energy. 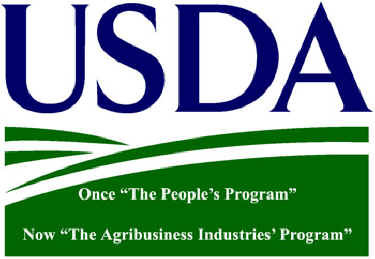 Whether done consciously or not, the USDA has boosted the sale of beef, poultry, eggs, and cheese to hungry Americans. With more animal foods also comes more obesity and chronic diseases, including cancer, heart disease, diabetes, and arthritis. The first policy will radically change the diets of school children. 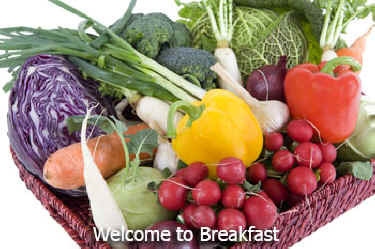 In the January 2011 report School Meals: Building Blocks for Healthy Children, the USDA Committee on Nutrition Standards for National School Lunch and Breakfast Programs recommended a reduction in starchy vegetables, such as white potatoes and corn, to one cup (total) per school week. Children, however, are encouraged to eat turkey sausages, egg patties, cheese omelets, chicken quesadillas, beef egg rolls, hot dogs, hamburgers, pepperoni pizza, roast beef, deli ham, chocolate milk, and margarine.